Nirmala Reddy is the Senior Manager for Enterprise Development at Nedbank. She joined Nedbank in 2004 & worked across various clusters within Nedbank before focussing on Enterprise Development since 2007. Nirmala has extensive experience in Community Development, Participatory Rural Development and Business Development across various disciplines. This expertise has led to many successful enterprise development implementations benefitting thousands of businesses across South Africa. She is passionate about the role of education and entrepreneurship for social and economic transformation in the form of poverty alleviation and job creation. 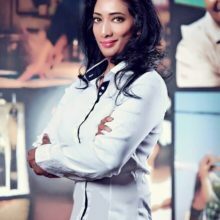 The versatility of working across community, business, public and private sector has held Nirmala in good stead to oversee Enterprise and Supplier Development at Nedbank. Apart from her passion for entrepreneurial support and development, Nirmala advocates all things natural which led to her recently qualifying as a Doctor of Alternative Medicine.